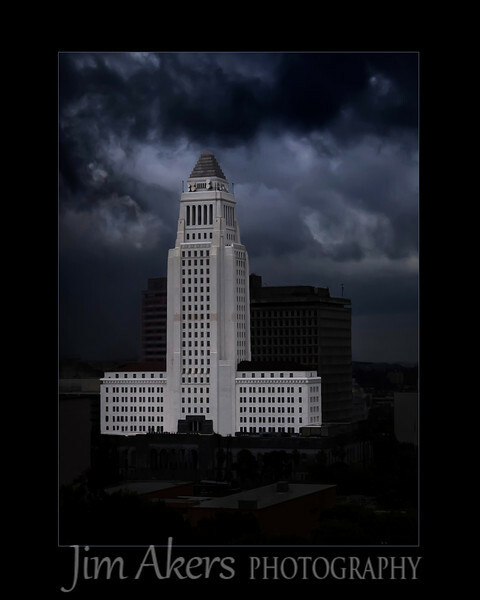 "Standing Tall" Los Angeles City Hall during a rain storm. I photographed this beautiful building from the Disney Music Center in the rain. This photo took third place in the fall Santa Clarita Valley Photography Association photo competition.